Summer is upon us, my friends, and with it so is the growing season! As Spring pushes into Summer, there’s a lot to be harvested, and one of the BEST things about Summer is all those sweet, juicy, red strawberries! Lucky for us, farmers have decided to share some sage advice on how to keep your strawberries fresh a lot longer! When you learn how easy it is to keep your berries fresh and tasty, you’ll never have to bite into another questionable strawberry again! Of all the delectable treats Mother Nature indulges us with this time of year, Strawberries by far are one of the finest! Unfortunately, they are also some of the hardest fruits to keep fresh after harvesting. This has a lot to do with how they grow. Strawberries, naturally, are a ground-dwelling plant. This makes them easily accessible to slugs and other insects that love the fruit. Also, because they lie on top of the soil, they are more susceptible to any diseases, bacteria, or fungi that has taken hold there. So, when we rinse them we’re really only rinsing away the dust, leaving behind the rest to wreak havoc on our precious harvest. 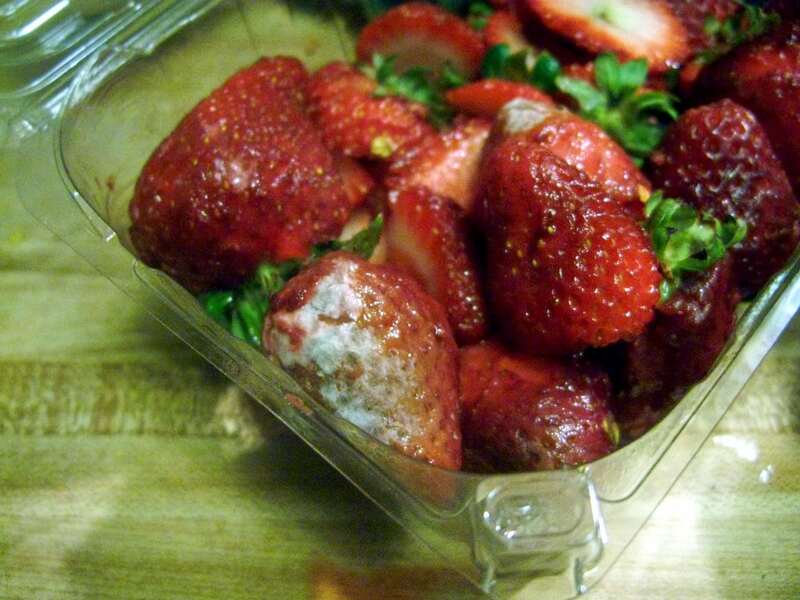 We’ve all had that heartbreaking moment when you go to treat yourself to a fresh strawberry, only to find that they’ve somehow turned into a rotted mess overnight! This goes back to those lingering bacteria and fungi that weren’t washed away during the rinse. 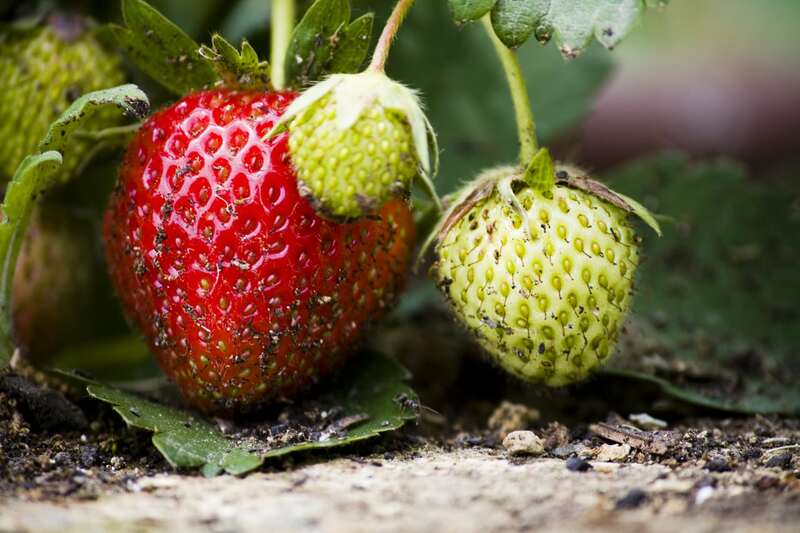 In order to avoid premature rot on your strawberries, you will want to essentially disinfect them during the cleaning process. Start by placing your fresh strawberries in a large bowl. Remember, you are going to want to completely cover these berries in your prepared rinse, so make sure the bowl is large enough to hold both the berries and the liquid. Mix 1 part vinegar to 5 parts water. 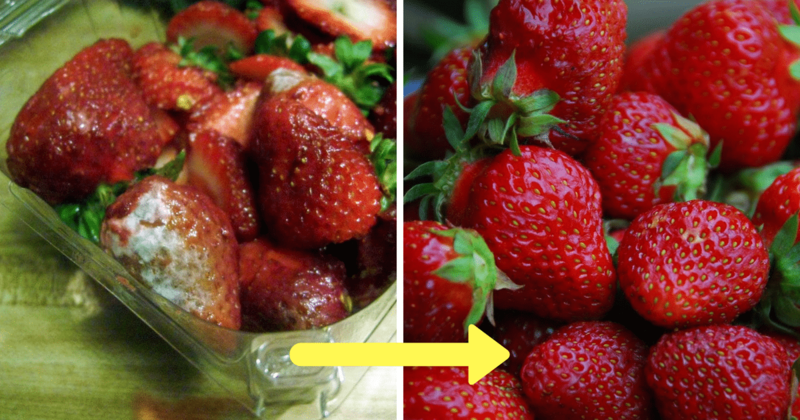 So, if you are washing a couple pounds of strawberries, use 1 cup of vinegar to 5 cups of water. Now your berries are ready for their vinegar bath, pour the mixture over your berries until they are all covered. Some of the berries will float to the top, and that is fine. You can either weight them down with a plate small enough to fit in the bowl, or just give them a good stir every few moments. The key is to let the berries soak for a good 3 to 5 minutes, at least. Vinegar is a very potent natural disinfectant. 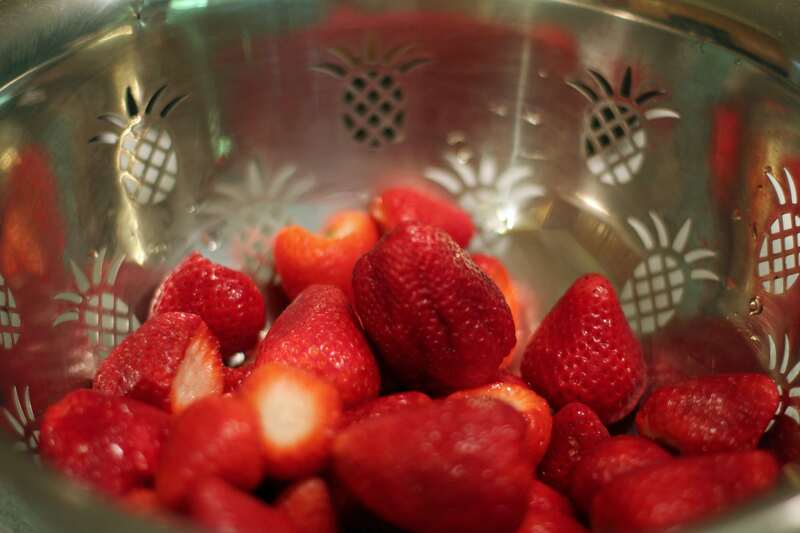 Letting the strawberries sit in the mixture will allow the rinse to penetrate the berries and kill off any lingering threats to your tasty harvest. 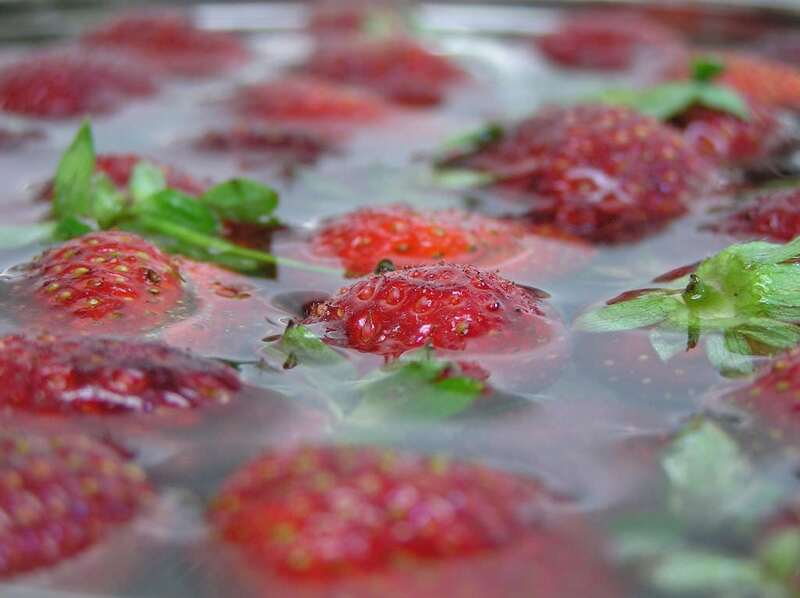 After the strawberries have had a good soak, strain the berries using your colander or salad spinner. Shake or spin as much of the excess water off as possible, getting them as dry as you can. 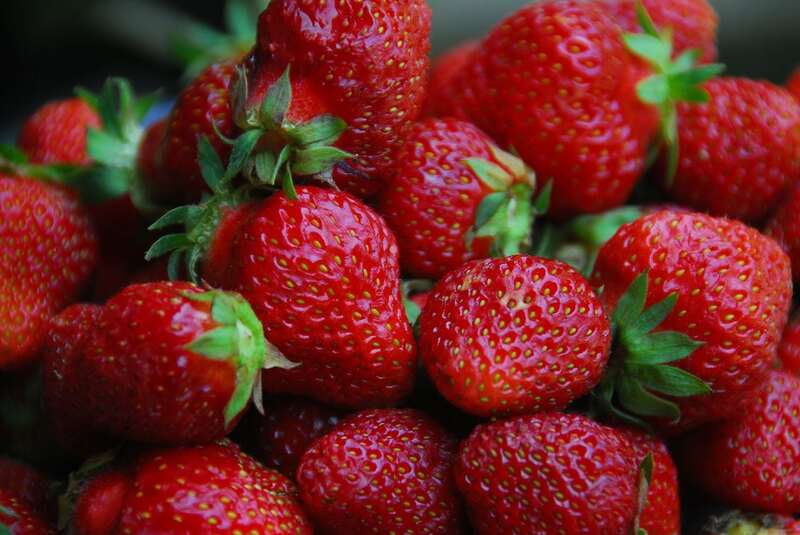 Moisture is the second culprit in speeding up the decaying process of your strawberries. A moist environment creates the perfect breeding ground for more bacteria and fungi, which we want to avoid for as long as possible. Once most of the water has been removed, lay your strawberries out in a single layer on clean kitchen towels and allow to air-dry. Make sure the strawberries are completely dry before putting them away. This shouldn’t take very long on a nice Summer day, probably around 15-20 minutes. 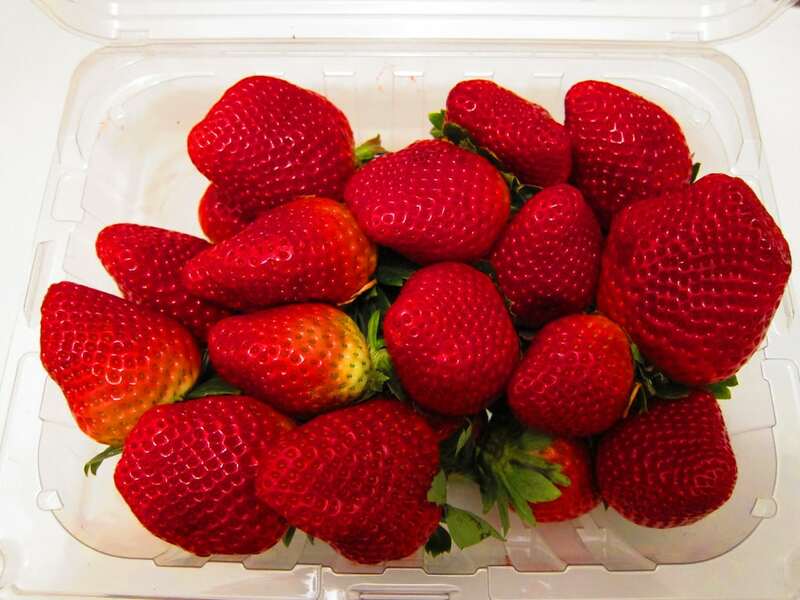 While your strawberries are drying, take a clean container with breathing holes and line with a couple paper towels to soak up any moisture the strawberries let out. 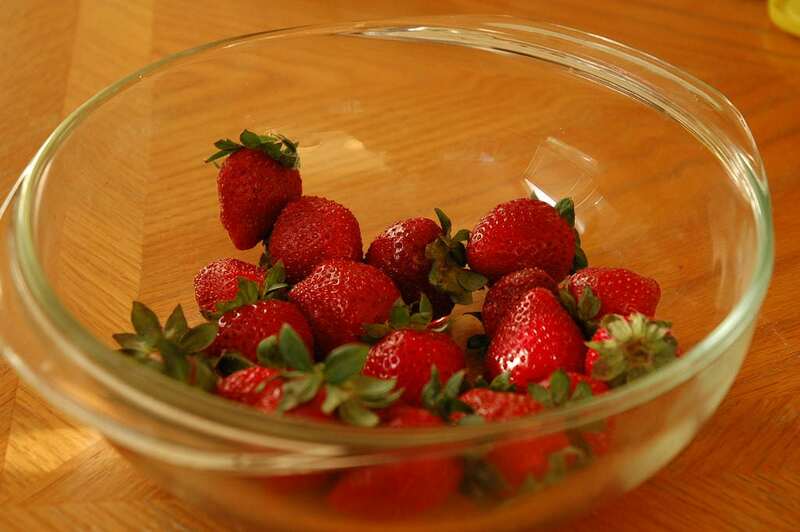 For max-efficiency, reuse the container you purchased the strawberries in after disinfecting. Once totally dry, pour the berries into the container and store in the refrigerator for your next midnight raid. Thanks to this friendly farmer-technique, you’ll be enjoying fresh, delicious, ripe berries for many days to come.